Our policy briefs explore post-Brexit futures including new systems of governance. Our team has given written and oral evidence to the UK House of Commons, the UK House of Lords, the Scottish Parliament, the Welsh Assembly, the Northern Irish Assembly, and the European Parliament. 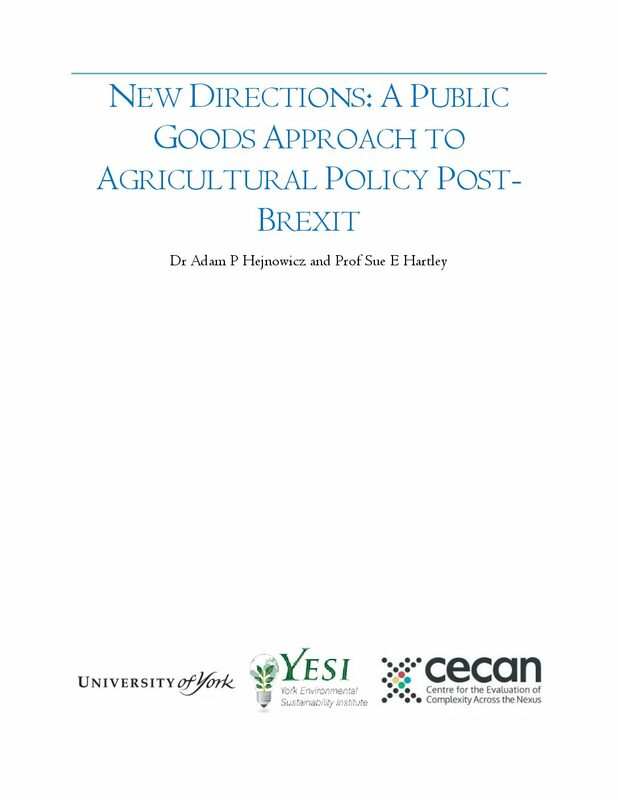 House of Commons, Scottish Affairs Committee (February 2019) The future of Scottish agriculture post-Brexit, Prof Colin Reid provided oral evidence. House of Commons, Environmental Audit Committee (February 2019) Scrutiny of the draft Environment (Principles and Governance) Bill, Prof Andy Jordan provided oral evidence. House of Lords, EU Energy and Environment Sub-Committee (February 2019) Post-Brexit enforcement of environmental law, Prof Charlotte Burns provided oral evidence. House of Commons, Environment, Food and Rural Affairs Committee (February 2019) Scrutiny of the draft Environment (Principles and Governance) Bill, Prof Colin Reid and Dr Viviane Gravey provided oral evidence. House of Commons, Environment, Food and Rural Affairs Committee (November 2018) Agriculture Bill inquiry, Dr Mary Dobbs, Dr Ludivine Petetin, and Dr Viviane Gravey provided written evidence. 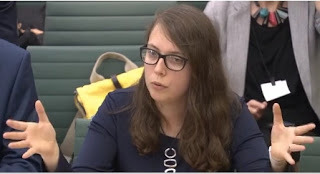 House of Commons, Environmental Audit Committee (June 2018) Environmental Governance Consultation Paper inquiry, the Brexit and Environment network provided written evidence, and Prof Charlotte Burns provided oral evidence. 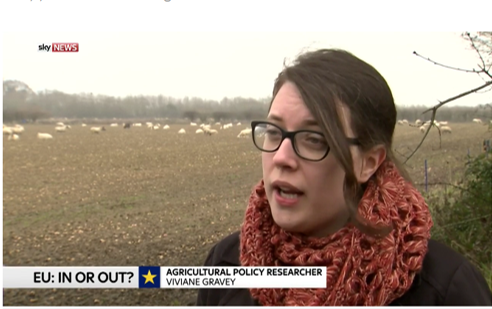 House of Commons, Northern Ireland Affairs Committee (June 2018) Agriculture after Brexit inquiry, Dr Viviane Gravey provided written and oral evidence. 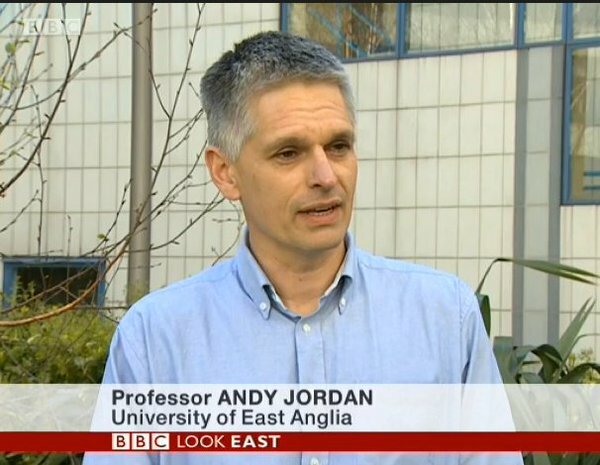 House of Commons, Environmental Audit Committee (March 2018) 25 Year Environment Plan Inquiry, the Brexit and Environment network submitted written evidence, and Prof Andy Jordan gave oral evidence. House of Commons, Public Administration and Constitutional Affairs Committee (November 2017) Devolution and Exiting the EU, Prof Charlotte Burns, Prof Richard Cowell, Dr Viviane Gravey and Prof Colin Reid provided written evidence. House of Commons, Welsh Select Affairs Committee (October 2017), Brexit: Agriculture, Trade and the repatriation of powers inquiry, Dr Viviane Gravey provided oral evidence. House of Lords EU Committee (March 2017) Brexit: Devolution, Dr Viviane Gravey provided written evidence. House of Lords EU Energy & Environment Sub-Committee (February 2017) Brexit: Agriculture, Dr Viviane Gravey provided written evidence. House of Lords EU Energy & Environment Sub-Committee (October 2016) Brexit: Environment & Climate Change, Prof Andy Jordan provided oral evidence. House of Lords EU Energy & Environment Sub-Committee (September 2016) Brexit: Fisheries, Dr Bryce Stewart provided written and oral evidence. House of Commons Environment Audit Committee (August 2016) The Future of the Natural Environment after the EU Referendum, Dr Viviane Gravey, Dr Charlotte Burns and Prof Andy Jordan provided written evidence. 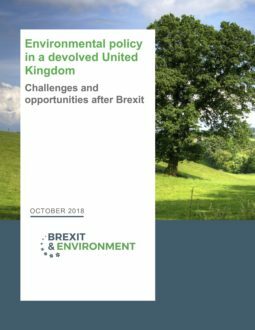 House of Lords EU Energy & Environment Sub-Committee (July 2016) The potential implications of Brexit on environment policy, Dr Charlotte Burns and Prof Andy Jordan provided oral evidence. House of Commons Environment Audit Committee (2015-2016) Assessment of EU/UK Environmental Policy, Dr Charlotte Burns & Viviane Gravey, Prof Sebastian Oberthür and Prof Colin Reid (1) & (2) provided evidence. Welsh Assembly Climate Change, Environment and Rural Affairs Committee (November 2018) Consideration of the UK’s Agriculture Bill, Dr Ludivine Petetin and Dr Mary Dobbs provided written and oral evidence. Welsh Assembly Climate Change, Environment and Rural Affairs Committee (June 2018) Inquiry into UK common frameworks on agriculture and the environment, Prof Colin Reid provided written evidence and Dr Viviane Gravey provided written and oral evidence. 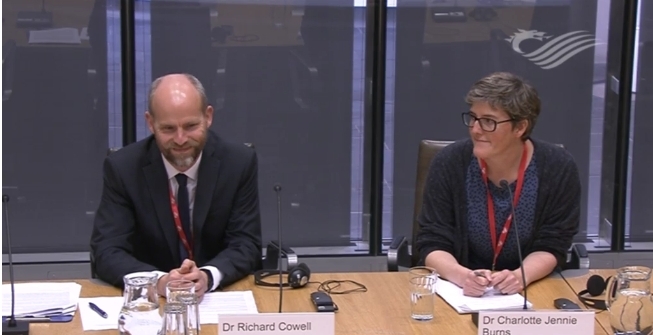 Welsh Assembly Climate Change, Environment and Rural Affairs Committee (May 2018) Inquiry into environmental principles and governance arrangements post-Brexit, Prof Richard Cowell provided written and oral evidence. Welsh Assembly Constitutional and Legislative Affairs Committee & External Affairs and Additional Legislation Committee (September 2017) The European Union (Withdrawal) Bill and its implications for Wales, Prof Charlie Burns provided written evidence. Welsh Assembly External Affairs and Additional Legislation Committee (October 2016) Implications for Wales of leaving the European Union, Prof Richard Cowell and Prof Charlie Burns provided oral evidence. Scottish Parliament Environment, Climate Change and Land Reform Committee (March 2018) EU Environmental and Animal Welfare Principles, Prof Colin Reid provided written evidence. 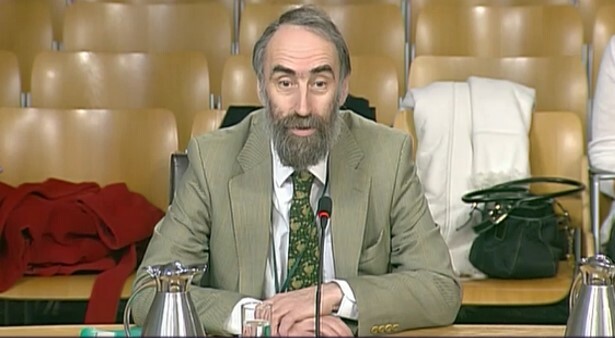 Scottish Parliament Environment, Climate Change and Land Reform Committee (2017-18) Environmental implications for Scotland of the UK leaving the EU, Prof Colin Reid provided written and oral evidence in February 2017 and January 2018. Scottish Parliament Finance and Constitution Committee (September 2017) European Union (Withdrawal) Bill, Prof Colin Reid provided written evidence. Exiting the EU: Policy Considerations for Northern Ireland, Agriculture & Environment, a Knowledge-Exchange Seminar organised by the Northern Irish Assembly (September 2017), Dr Viviane Gravey provided evidence. European Parliament Committee on the Environment, Public Health and Food Safety (November 2017) Impact of the UK’s withdrawal from the EU on the environment, public health and food safety, Prof Charlotte Burns provided oral evidence. Our work has been widely cited in the print media, on TV, and national and local radio. For media enquiries please use our contact form. BBC News (28.02.2019) Brexit: Why are vets being recruited? The ENDS Report (29.11.2018) Separation anxiety: Can the UK still influence the EU’s green agenda after Brexit? 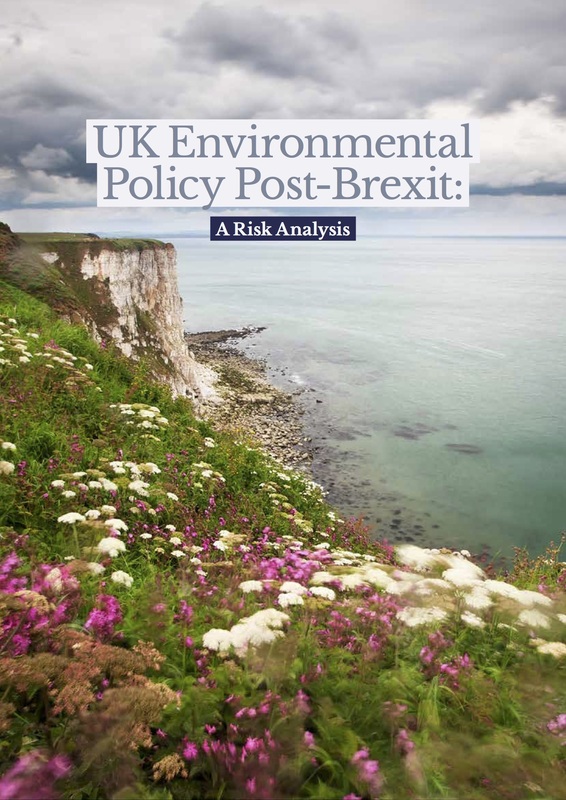 The ENDS Report (02.08.2018) Trade after Brexit: how at risk are the UK’s environmental standards? The Guardian (11.04.2016) Report highlights environmental dangers of leaving the EU. 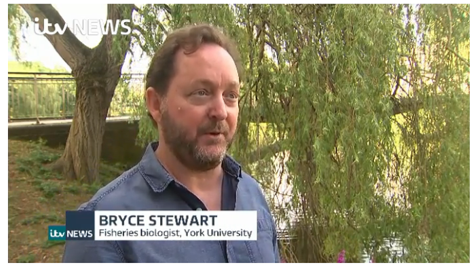 Our experts have been interviewed on environmental challenges for Brexit (BBC Look East, BBC Radio Scotland) fisheries management after Brexit (ITV News, BBC Breakfast, Farming Today), agricultural policies after Brexit (Sky News, BBC Radio Ulster, BBC Radio 4). Burns, C. Gravey, V., Jordan, A. and Zito, A. (2019). De-Europeanising or disengaging? EU environmental policy and Brexit. Environmental Politics, 28(2), 271-292. Engel, A., and Petetin, L. (2018). International obligations and devolved powers – ploughing through competences and GM crops. Environmental Law Review, 20(1), 16–31. Farstad, F., Carter, N., and Burns, C. (2018). What does Brexit mean for the UK’s Climate Change Act? The Political Quarterly, 89, 291-297. Hilson, C. (2017). The impact of Brexit on the environment: exploring the dynamics of a complex relationship. Transnational Environmental Law, 7(1), 89-113. Reid, C. (2017). Brexit and the devolution dynamics. Environmental Law Review, 19(1), 3-5. Reid, C. (2016). 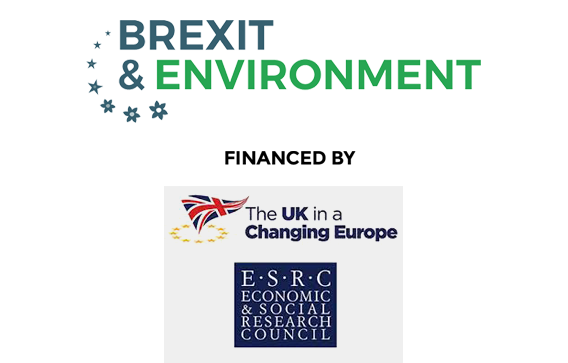 Brexit and the future of UK environmental law. Journal of Energy & Resources Law, 34(4), 407-415. Jordan, A., and Adelle, C. (eds.) (2013). Environmental Policy in the EU: Actors, institutions and processes. 3rd edition. Oxford: Routledge.